Looking for expert advice? We’ve compiled a collection of lawn care resources, including websites, found throughout North America. 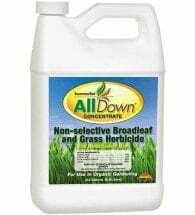 A collection of articles including “Eight Steps to a Pesticide-Free Lawn,” “Buffalograss Lawns,” and others on moss, prairie, and other grass alternatives. “Turf Tips” has a map of grass zones for the U.S., regional guides for fertilizing and for grass types (beware — they’re still recommending Kentucky bluegrass! ), plus mowing heights for different grasses. Great color pictures throughout. Ball, Jeff and Liz Ball. Smart Yard: 60-Minute Lawn Care. Golden, CO: Fulcrum Publishing, 1994. An IPM approach that allows for pesticides in a certified emergency but works towards their virtual elimination. LOTS of useful information including tips for different areas in the U.S. Three main sections: “Maintaining Your Lawn,” “Improving Your Lawn,” and “Lawn Problems.” Has the most thorough tips for assessing the condition of a lawn that I’ve seen. Lots of good (sometimes funny) drawings, graphs, and tables. A readable resource, too, which is always a plus. Carson, Rachel. Silent Spring: Special Edition. Afterward by Edward O. Wilson, Introduction by Linda Lear. Mariner Books: 104th edition, 2002. The mother-text of the environmental movement, this book is still relevant today. It focuses on the effects of DDT, widely used after WWII, and is credited with contributing to the ban of this chemical in the U.S.
Darke, Rick. The Encyclopedia of Grasses for Livable Landscapes. Portland, OR: Timber Press, 2007. One of the best and most complete guides to ornamental grasses. Darke is dedicated to what he calls “Landscape Ethics,” gardening that does not diminish the resources of the earth. At less than half the price of the Encyclopedia, but with hundreds of color photographs, this is an excellent buy. Franklin, Stuart. 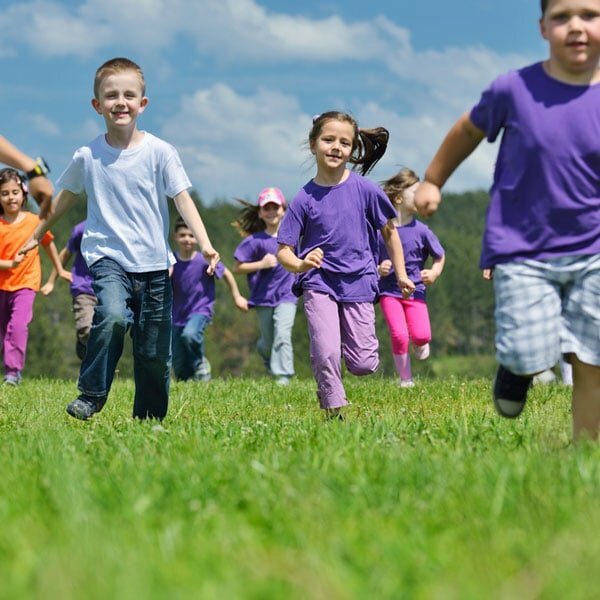 Building a Healthy Lawn: a Safe and Natural Approach. A Garden Way Publishing Book. Pownal, VT: Storey Communications, Inc., 1988. Older but still useful, this manual includes most of what later became accepted wisdom in organic lawn care. Jenkins, Virginia Scott. The Lawn: A History of an American Obsession. Smithsonian, 1994. I haven’t seen this one, but it pops up everywhere, and everyone speaks highly of it. Logan, William Bryant. Dirt: The Ecstatic Skin of the Earth. New York, London: W.W. Norton, 1995. This is a series of essays on what Bryant, in a bow to his farmer father, insists on calling dirt, not earth. The essays contain an enormous amount of information, but their primary purpose is not educational, but exploratory. Nardi, James A. Life in the Soil: A Guide for Naturalists and Gardeners. Chicago: U. of Chicago Pr., 2007. Though far more “informational” than Logan’s book, Nardi’s is if anything even more lyrical and lovely. It includes a comprehensive, worldwide guide to the creatures of the earth, book-ended by an opening section on the formation of soil and the role of living creatures in it, and a closing section on how to work with those creatures, restoring and maintaining soil health, while gardening. Quammen, David. “Rethinking the Lawn.” In The Boilerplate Rhino: Nature in the Eye of the Beholder. New York: Scribner, 2000. A hilarious essay by a man who finally said “No mow” to mowing, and who made plans for a shrunken lawn and expanded free time. Schultz, Warren. 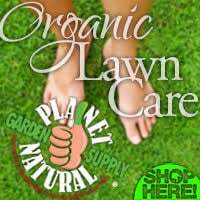 The Chemical-Free Lawn: The Newest Varieties and Techniques to Grow Lush, Hardy Grass. Emmaus, PA: Rodale Press, 1989. Aside from Schultz’s out-of-date obeisance to Kentucky bluegrass, this book gives an almost flawless and remarkably thorough presentation on organic lawn care. Steinberg, Ted. American Green: The Obsessive Quest for the Perfect Lawn. New York: W.W. Norton & Co., 2006. Steinberg could make a history buff out of anyone. Full of forgotten facts (backyard fences were forbidden in Levittown, one of the earliest large-scale post WWII developments) woven seamlessly into a comprehensive narrative, this book combines humor, information, and an individual, idiosyncratic perspective. Wilbur, Charles A. How to Grow World Record Tomatoes: A Guinness Champion Reveals His All-Organic Secrets. Acres U.S.A., 1998. This charming book by a home farmer in the South reveals his methods, including how to compost kudzu. Statistics Canada report on Lawns, gardens and environment. “Canadian lawns and gardens: Where are they the ‘greenest’?” Feb. 2008. — Mary Frances Lynch and Nancy Hofmann. U.S. Environmental Protection Agency (EPA), Mid-Atlantic Region Green Landscaping. “Sustainable Landscaping Presentation” May 2007. Toronto Board of Health Staff Report. “Leaf Blowers and other Lawn/Garden Equipment: Noise, Air Pollution and Regulation (PDF)” July 2001. “Lawn and Garden Pesticides: A Review of Human Exposure & Health Effects Research (PDF)” April, 2002. — Dr. Sheela V. Basrur, Medical Officer of Health. The Ontario College of Family Physicians. “Pesticides Literature Review (PDF)” April, 2004. p.36, Ch.4. U.S. Environmental Protection Agency. Ground Water & Drinking Water. “Consumer Fact-sheet on: Selenium (PDF)” Nov. 2006. “Health and Environment” Mar. 2008. Environmental Science and Technology, 36 (9), 1923 -1930, 2002. — Paul J. Squillace, Jonathon C. Scott, Michael J. Moran, B. T. Nolan, and Dana W. Kolpin. Department of Pesticide Regulation, California. Environmental Monitoring & Pest Management. “Environmental Fate of Mancozeb (PDF)” Oct. 2000. “Mancozeb” Pesticide Information Profiles” revised June 1996. EXTOXNET is a group of universities and university extension offices largely funded by the USDA. Have a pest problem? Click on this page for pictures, descriptions and a complete list of earth-friendly remedies. This site is maintained by the North Central Region-192, a working group of turf experts sponsored by the U.S. Dept. of Agriculture. On this site the group members, drawn from a whole fist-full of universities in what’s more usually called the Midwest, offer their combined expertise on establishing and maintaining lawns, grass types, problem-solving — the whole shebang. 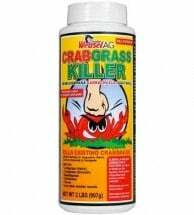 Somewhat old-school in that it still advocates planting Kentucky bluegrass, it’s nevertheless informative, user-friendly, and low-key in its advocacy of low-chemical approaches to lawn care. Part of the University of California’s extensive UC IPM Online: Statewide Integrated Pest Management Program site. Includes pages on identifying and choosing a grass, establishing and caring for new lawns, pest management, and more. Though it primarily addresses large-scale establishment for wildlife or livestock, the PDF version has wonderful pictures and lots of information. This Oregon nursery blend of five fine fescues developed for northern lawns needs less water and fertilizer than conventional mixes. — Click on “Turfgrass Selection …” midway down left-hand column. This site will guide you through identifying the grass in your lawn. The PDF document contains information in list form comparing grasses by 14 different criteria. 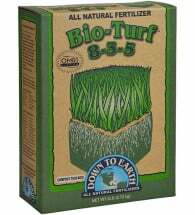 These include tolerance for heat, cold, salinity, drought, and shade, nitrogen requirements, mowing height, establishment rate, maintenance costs, and three different measures of wear. This blend of seven fescues does everything but play the violin, apparently. It grows slowly, reducing the need for mowing, it sends down deep roots (up to nine inches! ), making it drought-tolerant, it thrives in shady, poor, and compacted soils, and it needs little to nothing by way of fertilizer. Left unmown, it tops out at about eight inches and flops over prettily. Accounts on gardening blogs support these claims. 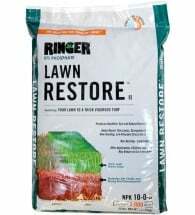 Includes some marvelous blog entries on how to eliminate an old lawn before starting over. Not an authoritative source, but appears knowledgeable and charmingly whimsical. — Korb, Gary, James Hovland, and Steven Bennett, University of Wisconsin Extension in cooperation with the Wisconsin Department of Natural Resources. A readable presentation about lawn care. “Turfgrass Water Management” Rev. April, 2000. 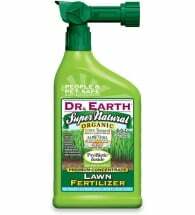 Though pitched to large-scale operations, the information at this site is perfectly applicable to lawns or gardens. Lots of useful info here, but not as user-friendly as some sites. The central list of diseases gives only names, no photos, and since each disease is covered on a separate page, there’s no way to scan photographs of diseases. The pages about individual diseases do include excellent photos and diagrams of disease progression, as well as useful information on control. This site is excellent once you know what you’re dealing with, but it isn’t much help with diagnostics. A terrific USDA site on the Japanese beetle, this homeowner’s guide tells you how the dang things got here, how to trap them, and offers a systematic IPM approach to controlling them. Very nice article giving interesting background facts on the many names and uses of this now-vilified plant. Lovely pictures, too. “Diseases of Warm Season Grasses” May 2017. Don’t be put off by the date on this site. It’s got pictures, graphs showing seasonal incidence of each disease, and excellent, mostly organic advice about dealing with problems. This is one of the most amazing fact sheets I’ve encountered in all the research for this article. Heller details several levels of control, thoroughly and read-ably. One of many, many useful pages at OSU Extension. This one, however, justifies itself by saying that control depends on identification, but it doesn’t link to any control pages bearing this out. The only article I’ve found devoted to the problems of dog urine on lawns, this was the source for much of my information on the topic. Includes tips on how to train your dog to pee in one, non-lawn spot. A great, readable site with lots of helpful pictures. “Identification and Control of Knapweed Species in Central and Eastern Oregon” Feb. 2003. Has a great list of groundcovers, with pictures.